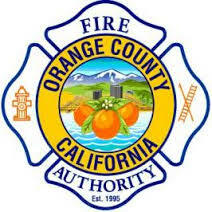 The Orange County Fire Authority’s Reserve Program is a community-based program. This program gives members of the community the opportunity to augment full-time career Firefighters with the delivery of emergency fire and rescue services and public relations and education to the community. Reserve Firefighters volunteer their time to the community solely based on civic and humanitarian reasons. Reserve Firefighters receive a nominal stipend and limited benefits for their voluntary participation in this program. The Reserve Firefighter Program is managed through the Community Volunteer Services Office.